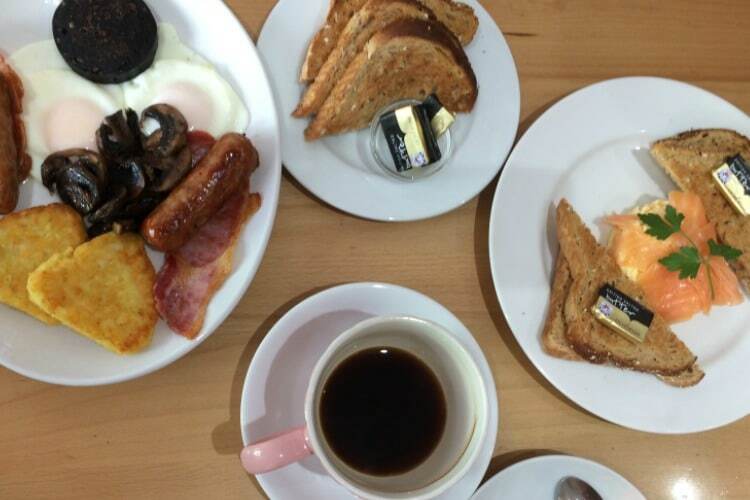 Traditional English Breakfast which won’t disappoint! Looking to satisfy that early-morning urge for a classic fry-up that doesn’t leave you feeling bloated and wanting to crawl back into bed? I think I’ve found the spot. 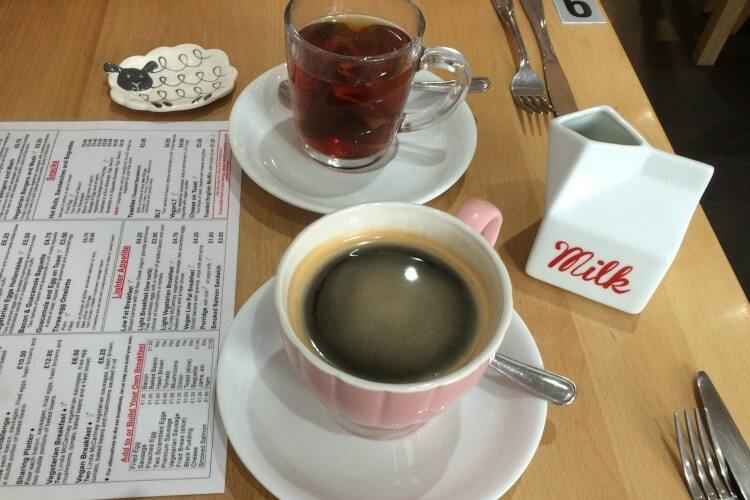 You couldn’t call Little Miss Piggies, in Kemptown’s bustling St James’s Street, a greasy spoon. 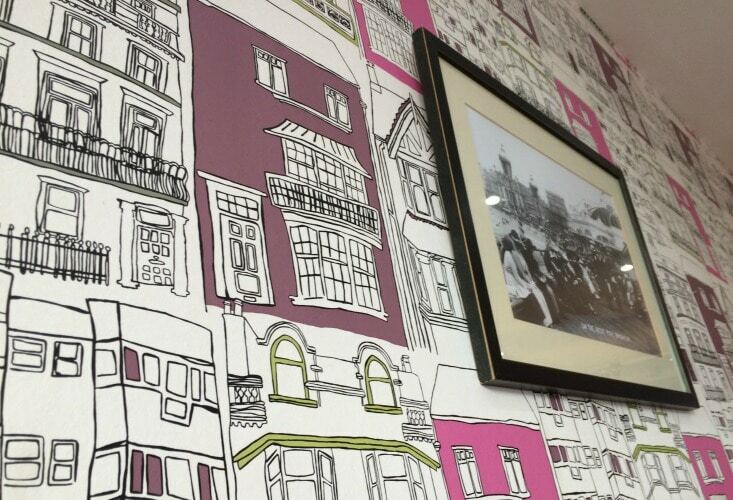 The phrase certainly doesn’t match the delicate, pink-themed little café wallpapered with cute drawings of Brighton and dotted with pig ornaments. But if it’s a traditional breakfast you’re after, you won’t be disappointed. Options range in style and size from the humble, and very economical, English Breakfast to the ambitious sharing platter. Despite spotting the hangover breakfast option while perusing the menu online, and dutifully drinking a lot of rum the night before, I decided to choose the more modest big breakfast option, swapping baked beans for black pudding and mushrooms. 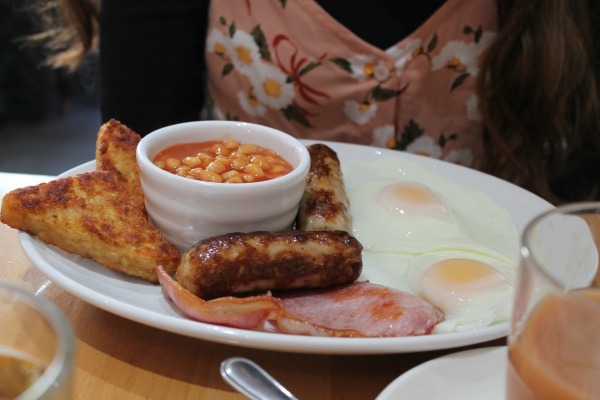 Vegetarians ­shouldn’t fooled into thinking Little Miss Piggies is all about meat – the set breakfast list has both a vegetarian option and vegan option and, with a generous list of extras to choose from, you can pretty much tailor your meal to whatever your taste. But traditional breakfasts are only the start. The menu also offers a variety of brunch-style dishes like eggs benedict and eggs royale to guacamole baguettes. My housemate decided on the scrambled egg and smoked salmon and our orders were taken by the super friendly staff. Nursing an enormous cup of reviving black coffee (we also noted, and appreciated, the pint of tea option), we sat back and took in the cosy, relaxed vibe of the café against a feel-good soundtrack of Aretha Franklin. I wondered, when my plate had arrived, whether my eyes had been too big for my stomach but the food was so light that I polished it off without a pause. The eggs were gently fried and runny, the mushrooms were fat and juicy and the black pudding was exploding with flavour. The thin and textured hashbrowns ranked as some as of the best I’ve ever had, and the high quality of the sausages definitely proved it’s definitely worth upgrading to the premium option. My tasty meal didn’t stop me looking jealously on at my friend’s generous stack of scrambled eggs, which looked perfectly fluffy and creamy, draped in smoked salmon ribbons. The packets of butter warming on top of the toast were a nice aesthetic and practical touch. 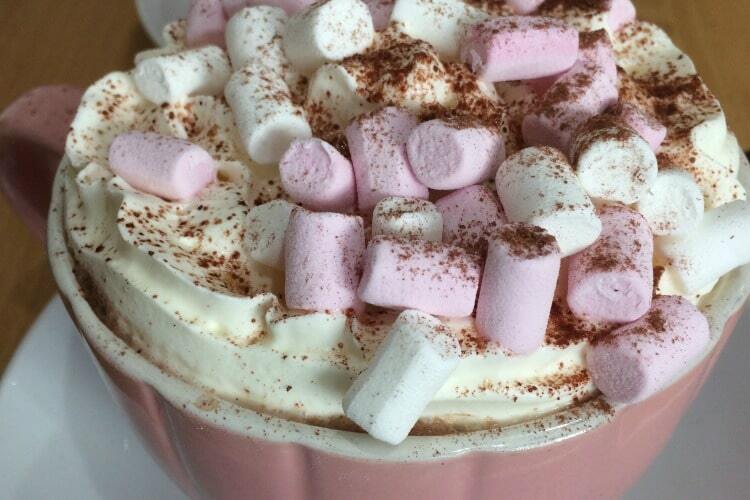 Just as we were starting to digest, we were offered a special hot chocolate, which we obviously couldn’t refuse. The big, brimming mugs topped with a thick layer of whipped cream and covered in marshmallows were the stuff of children’s fantasies and a decadent end to a standout breakfast. The steady coming-and-going of customers, some who seemed to be regulars, proved the cafe’s popularity and, after just one visit, I would definitely recommend it as a buzzy, lively and cheerful spot if you’re looking to enjoy a drawn-out brunch with good company.